Under 15's are off to Somerset for a tournament in May. 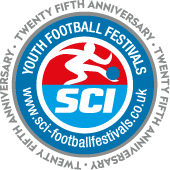 Our under 15s and Under 15 Colts have booked onto the SCI Tournament in Somerset and will be staying at the nearby Pontins resort in Brean sands. It is a 11 a side tournament with 2 full days of football and a presentation evening with a celebrity ex footballer or manager. There will be trophies for everyone including special categories for certain things. Any support would be great, we would love to see you there. The dates are 25th to 28th May with the football on 26th and 27th may. Come on FC Premier.  Winning start for Premier Colts Hat trick for CJ, goals for Babba and Owen and a worldy for Dariah!